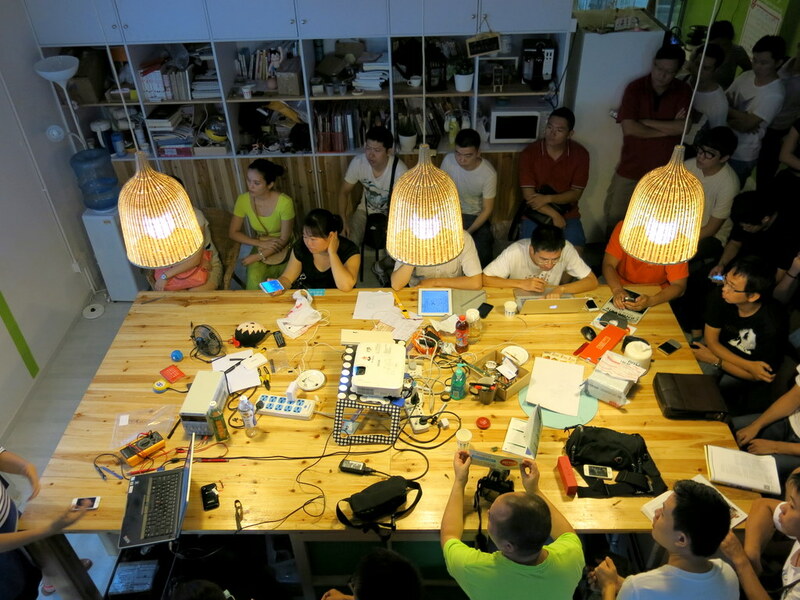 On the last day (Sep 8) of my trip to Shenzhen, I came across a scheduled event at ChaiHuo Maker Space. 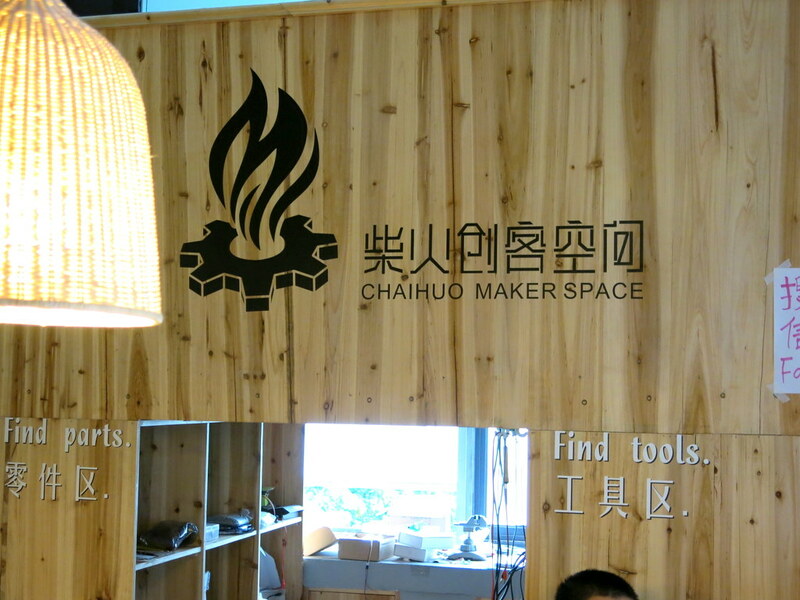 ChaiHuo is sponsored by SeeedStudio, and the name means ‘wood fire’. As a Chinese saying says: everybody adds firewood, the flame shoots higher. Chaihuo Maker Space is a place to inspire people to come and add ‘innovative ideas and projects’ to the maker culture. 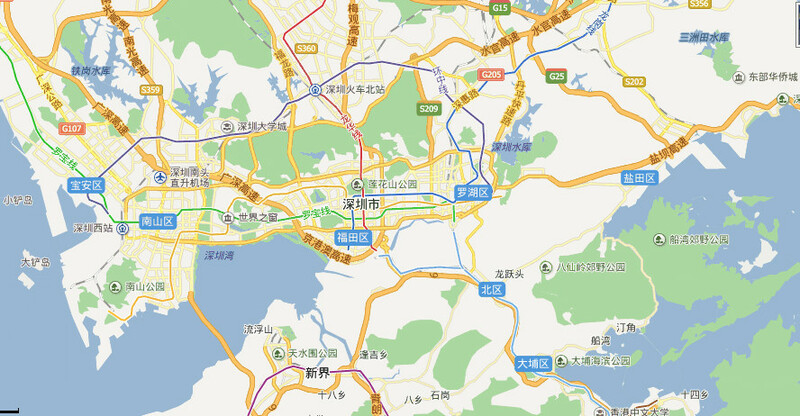 SeeedStudio made a very nice Makers’ Map for Shenzhen visitors, where you can easily locate all the maker-related resources and facilities. The topic of the event was about innovative ideas for electronic toys. 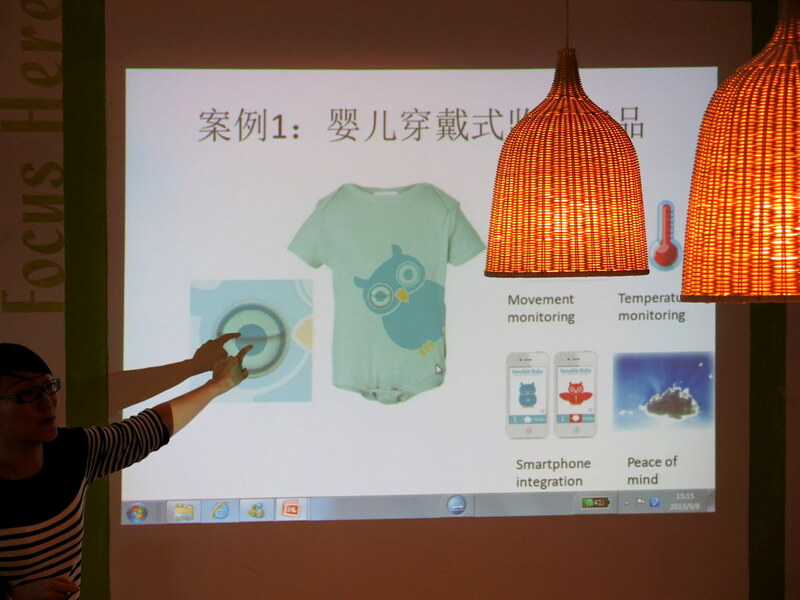 There were 25 to 30 or so attendees, some traveled as far as from Beijing to come for this event. 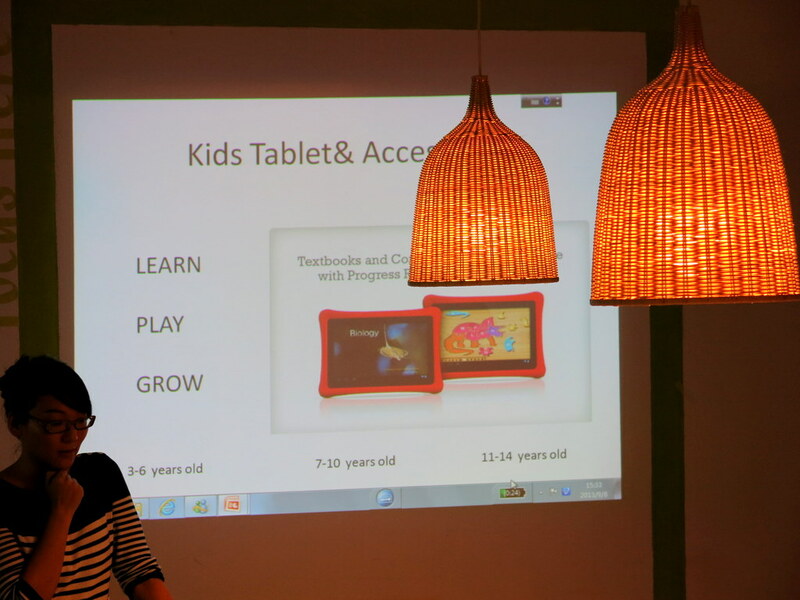 After a brief introduction, the presenter, who is a designer and has extensive expertise in the electronic toy industry started telling us about the lucrative market for electronic toys, the background, challenges, and four recent successful products. Ample time was given for brainstorming and discussing successful tips. 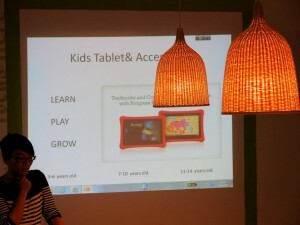 This was overall a relaxed and fun event, and a great social opportunity. Many of the attendees were industrial designers and product developers. It’s a palce to make friends and connections. 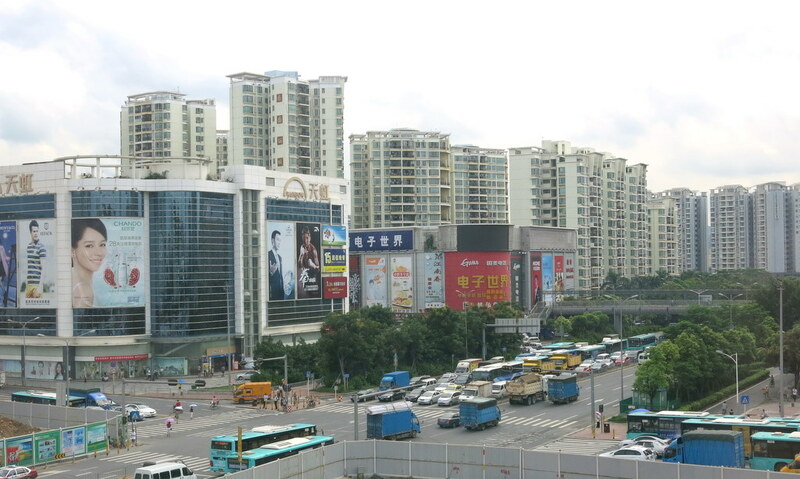 So this concludes my Shenzhen trip. 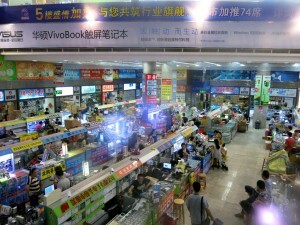 Following ShenZhen, I stayed at Shanghai for one day and visited the electronics market there. 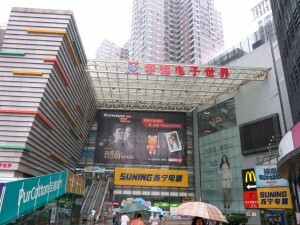 It’s prosperous but nowhere near the size and variety of Hua Qiang Bei at Shenzhen. All right, time to pack and go back to the US. Felt like I’ve refreshed myself and gained new energy and inspiration to keep working and innovating :). Day 4, I paid a special visit to HAXLR8R. HAXLR8R provides seeding fund to entrepreneurs who are passionate about building hardware devices. It offers $25K funding, office space, access to equipment and tools to a team of startups, in order to help them convert great ideas to functioning and marketable final products. 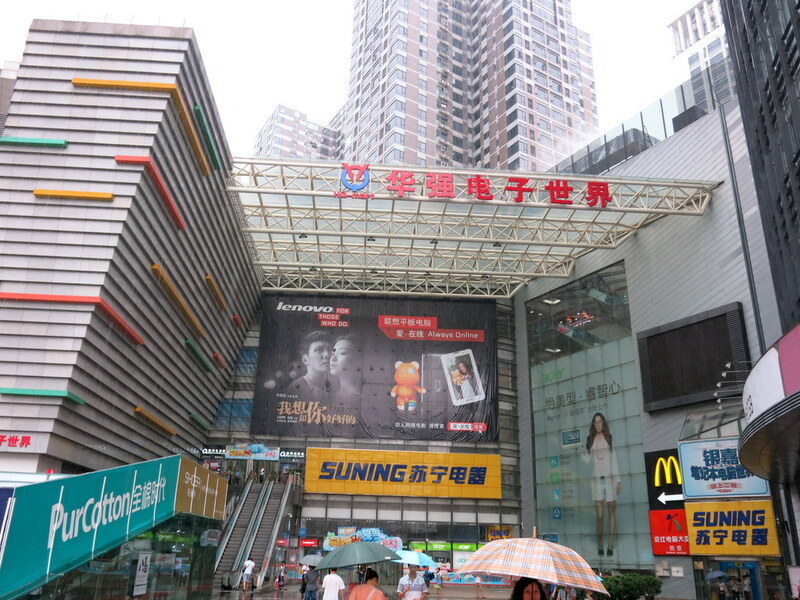 They are very conveniently located right next to Hua Qiang Bei electronics market. Since I’ve met the co-founders Cyril and Zach at the Maker Faire previously, I contacted them through email and they were generous enough to spare some time to meet me. At the moment they are in the middle of a session with 10 teams. This session will conclude in November. 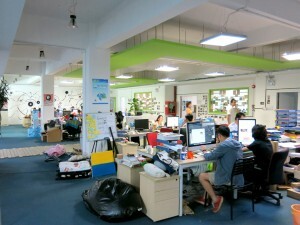 Everyone seems to be very busy, working in deadline mode. 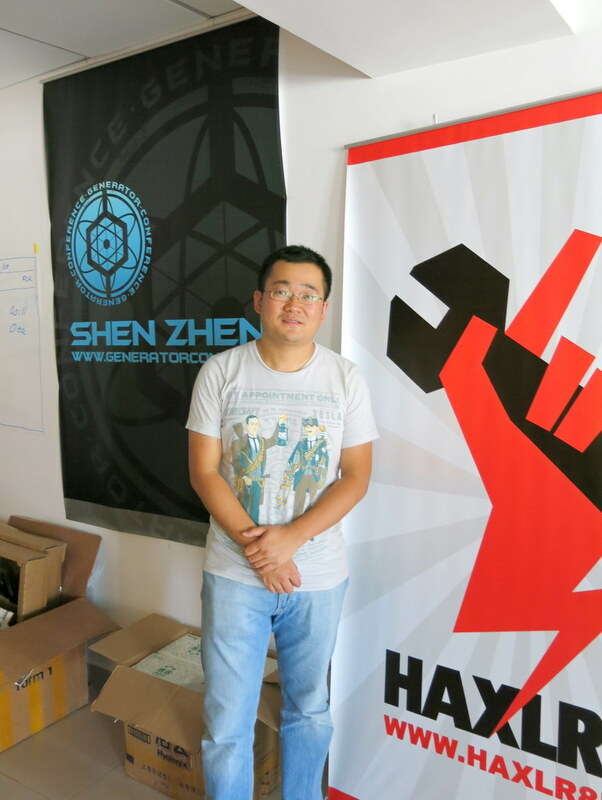 I had a great conversation with Cyril about the background of HAXLR8R and his own stories living in China. 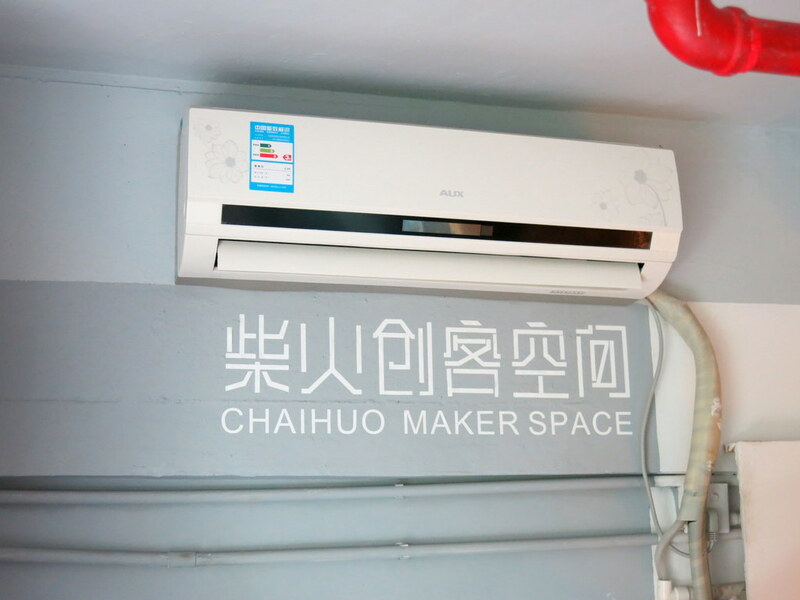 Being located right next to Hua Qiang Bei makes it super convenient to rapidly prototype ideas — the components and parts you need are within walking distances. 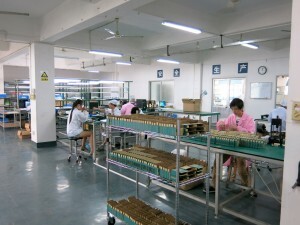 Not only electronic parts, but plastic parts, mechanical parts, enclosures, common or uncommon, can be easily made here. 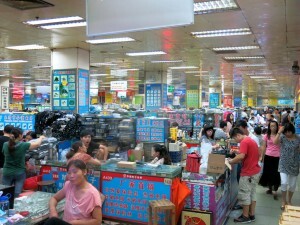 It’s THE central place where physical goods are made. Since everyone seems to be fully engaged in making their products, I didn’t want to take too much of Cyril’s time. After showing him my OpenSprinkler and SquareWear, I took off and headed to the next destination, which is to have lunch with Zach (a.k.a Hoeken). Zach is a fun guy and has been living in Shenzhen for more than two years. He is fascinated by the life in China, and his Mandarin is very good 🙂 At the moment he is in the process of moving to a new place. When I met him, he was visibly tired from late night working. We had a wonderful chat about his life in China, his passions, projects he worked on, the MakerBot (he was one of the original co-founders of MakerBot), the open-source culture, technical stuff, and so on. I felt very excited that we were brought together by this ‘Make’ connection — it’s a great way to meet people. Time flies. 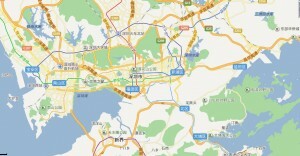 Yesterday was day 3 of my visit to Shenzhen. 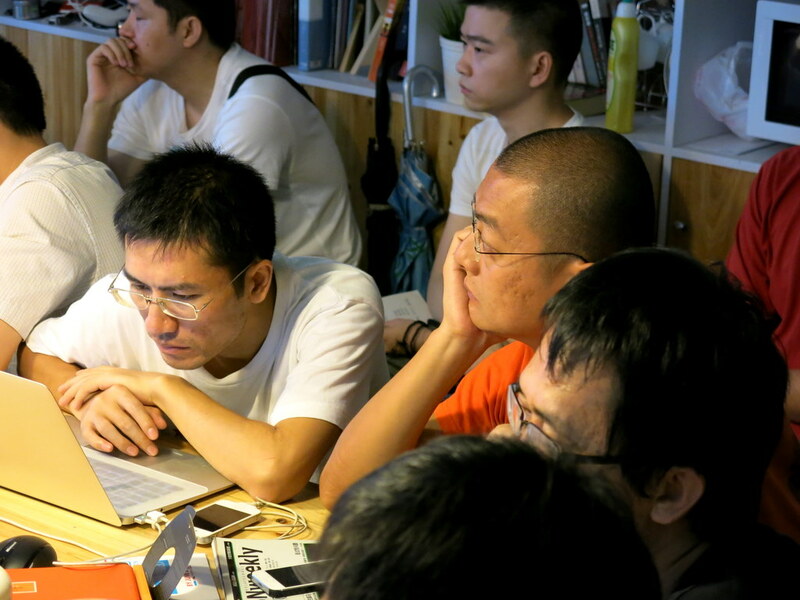 I went back to SeeedStudio and worked with the engineers on improving the design we talked about during day 1. Here I will give you a sneak peak preview of what’s happening. 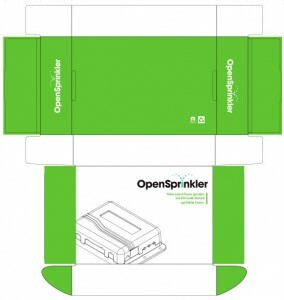 First, we are going to design a paper box for OpenSprinkler. 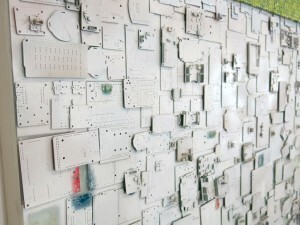 The design is largely based on SeeedStudio’s classic paper box, with art work and color adapted to OpenSprinkler. 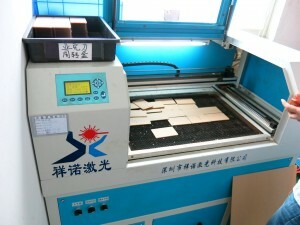 The first prototype is shown below. It’s pretty simple but it looks pleasant. I should mention that we are designing the paper box mainly because we would like to make this more towards a commercial product, for example, a product that you may find on Amazon.com. So we need proper packaging to give it the professional look and feel. But don’t worry, it will remain an open-source product — no matter how commercial it may be, the open-source nature won’t be lost. Next, we are also designing an injection molded enclosure for the OpenSprinkler Zone Expansion Board. As the circuit design of the zone expansion board has more or less finalized, I think it’s time to make a custom enclosure for it as well. I don’t have a copy of the prototype design yet, but one of the main changes is that the new expansion board will fit 16 stations per board, and yet the size is approximately the same as the current expansion board (which fits only 8 stations per board). 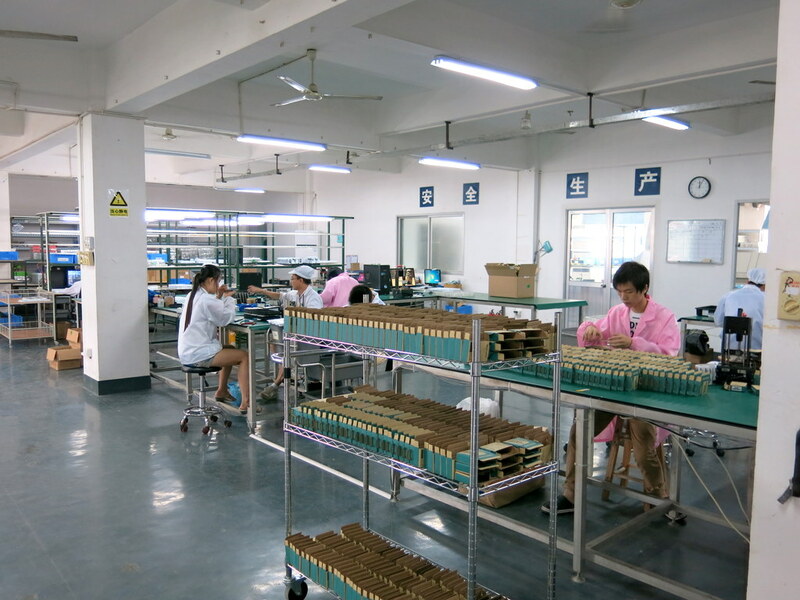 If you are wondering what about OpenSprinkler Pi — we won’t be designing an injection molded enclosure for OSPi yet, mainly because I heard from grape vine that there will be another round of revision for Raspberry Pi, and I have been advised not to finalize the design yet. On the flip side, I am working on a BeagleBone Black version of OpenSprinkler (for now, let me refer to it as OpenSprinkler BeagleBone). It occurs to me that BeagleBone Black is probably a more suitable platform for sprinkler applications, particularly because it has built-in ADC and RTC. This would make the extension board design really simple. The circuit should be very straightforward, but I do have to spend some time re-working the enclosure design. Will keep you updated about the progress. With respect to hardware revision of OpenSprinkler v2.0, there will be a couple of minor changes to address some of the engineering issues. One is a circuit-side protection to prevent the users from damaging the mcu even if they plug in 24VAC into the rain sensor port. This is a rare situation, but because the rain sensor port uses the same type of terminal block as 24VAC, a careless mistake will clearly fry the mcu. The simplest solution we came up with is to add a zener diode and a resistor to the rain sensor port, such that even if you apply 24VAC to the port it won’t damage the mcu’s pin. See the circuit diagram on the right above. This is fairly standard, so I won’t dwell much on it. But I do want to mention that the resistor RZ should be selected carefully. On the one hand, it should limit the current through zener diode D4 when 24VAC is applied to the terminal. Assuming the zener diode can sustain 10mA, and the maximum instantaneous voltage is 40V DC, RZ should be no smaller than (40-3.3)/0.01 = 3.7Kohm. 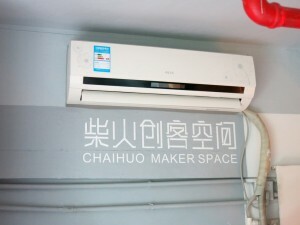 On the other hand, the rain sensor port has to preserve its normal function, which is to sense the connection / disconnection of the rain sensor. Because we make use of AVR’s internal pullup resistor, which is approximately 20Kohm, in order for the mcu to detect that pin 2 on the terminal is shorted to ground (pin 1), the resistor RZ should be chosen such that 3.3 * RZ / (20K + RZ) < 0.6 where 0.6 is the maximum voltage that appears as a logic LOW to the mcu. So RZ should be smaller than 5.2Kohm. Combining the two factors together, I've chosen RZ to be 4.7Kohm, which falls in the range in between. Another minor change in the plan is to add a few components for AC current sensing, in order to detect the AC current supplied to the solenoids. This is useful for two purposes: one for detecting defective solenoids (i.e. current draw exceeds the typical current draw of a typical solenoid; the other purpose is for monitoring the number of valves that are currently open, which can be done by simply checking the total current draw. In any case, this will be a fairly simple thing to add to the revised circuit. 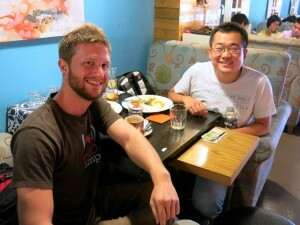 At the end of the day, a friend of mine and I went to a traditional Beijing style hot pot restaurant. 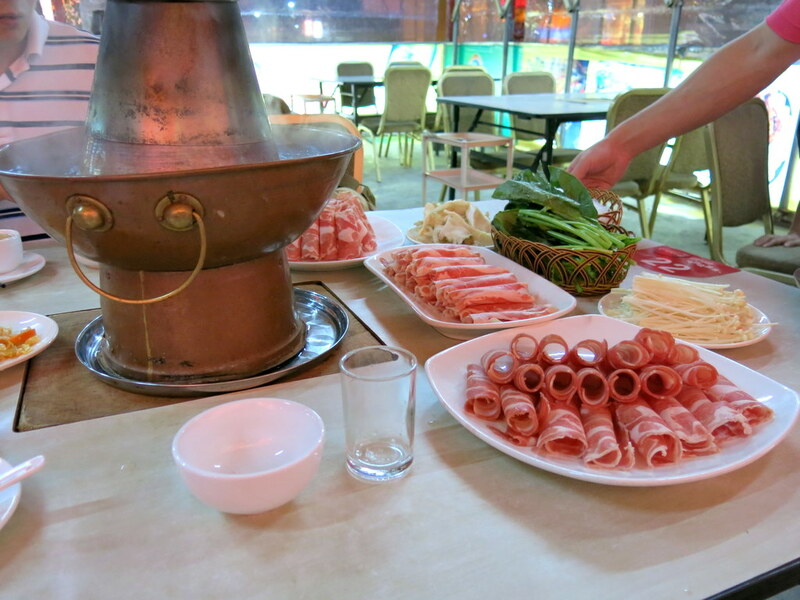 Instead of using an electric burner, the traditional style hot pot uses a pot that runs on burning charcoal. It gives the food a nice 'smoked' taste, which is what you won't find in standard hot pot. The food was delicious, and I highly recommend trying it, at least once in your life 🙂 So much for the report today. More to follow tomorrow! 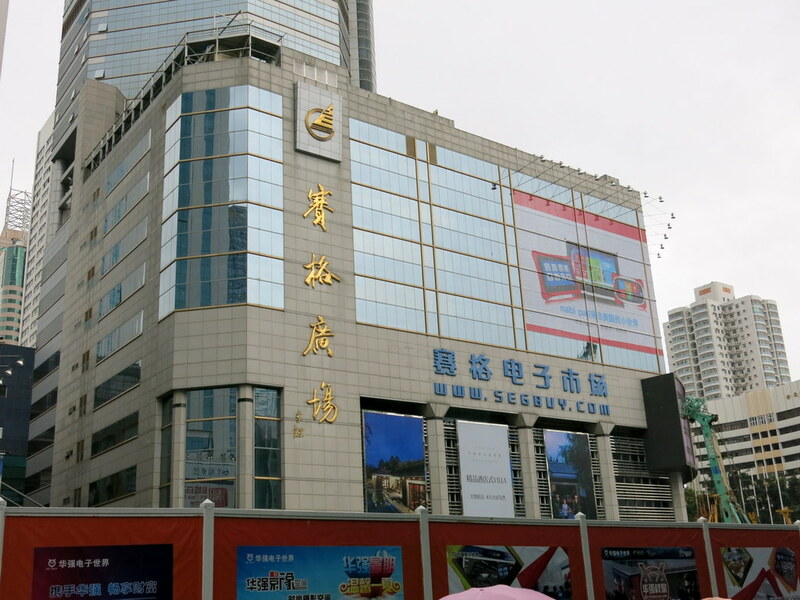 Continuing my last post about this week’s trip to ShenZhen, today’s agenda is to visit Hua Qiang Bei (HQB) — the largest electronics market in the world. HQB is located close to the center of the city. 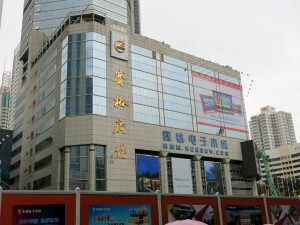 The name literally means the north of the Hua Qiang street. 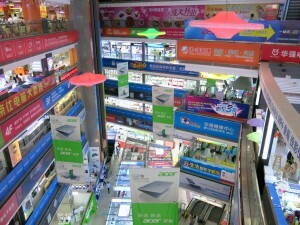 The area spans several big buildings, each of which is full of counters and booths selling all sorts of electronics components and gadgets. 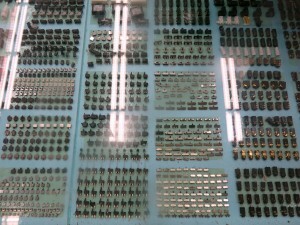 One of the LEDs I was looking for is of type WS2812, which is used by Adafruit on their Neo Pixels. 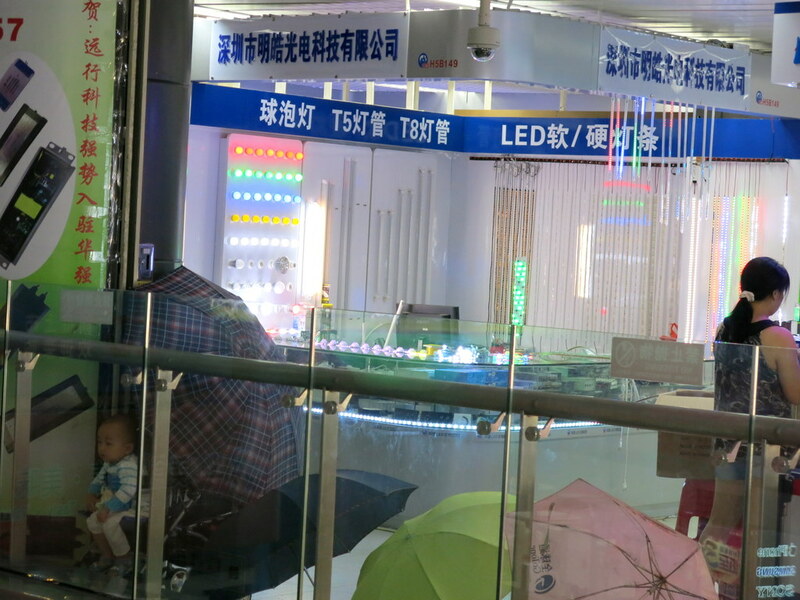 This type of LED has a built-in IC which allows you to set the brightness of each color separately, and most amazingly it takes only one data pin. You can also cascade multiple LEDs. The data is sent in like shift register, and it gets latched on each LED. This is really a very smart design: with only one data pin, you get to control mutiple independent LEDs, and it requires minimum mcu cycle to operate. 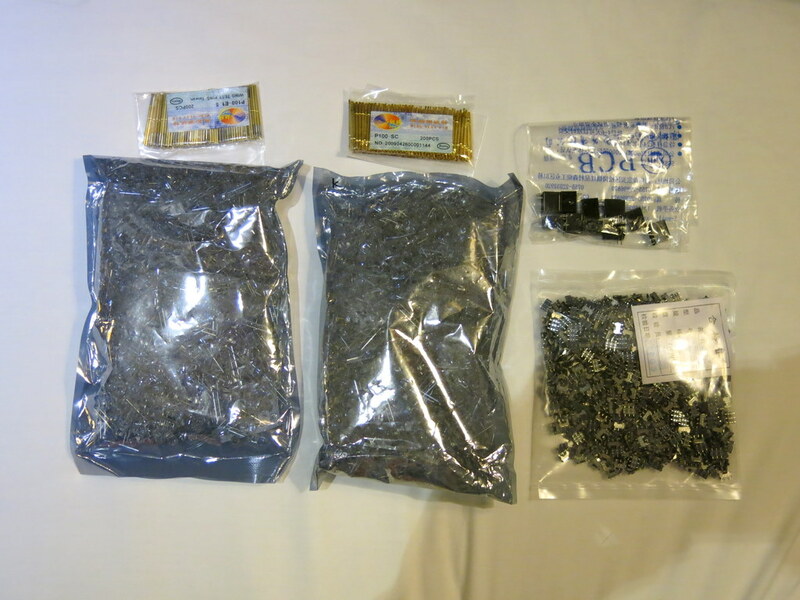 Many sellers that carry this product sell them in the form of fully assembled tapes of LEDs; a few do sell just the LEDs, at a price of about $110 for a bag of 1000. Sounds like a competitive price. Short of a reference price, I decided to look around and come back to buy when I feel ready. 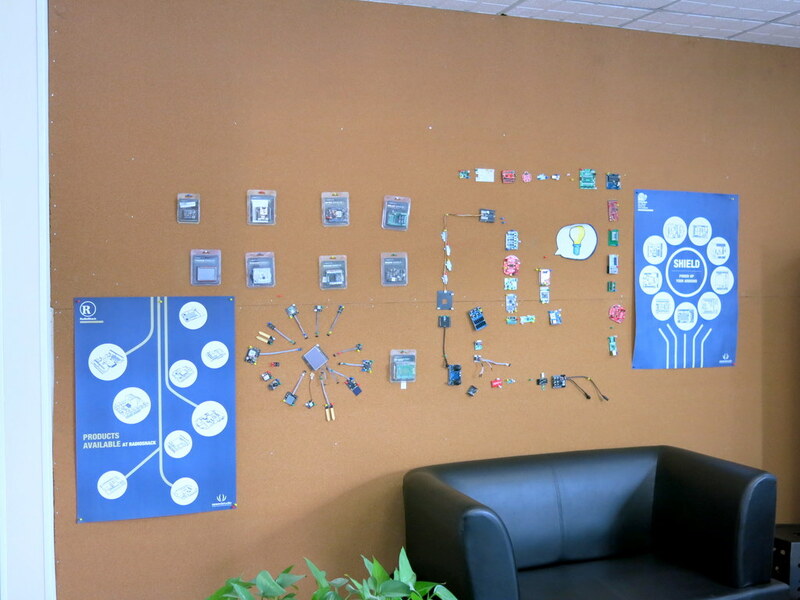 The next stop is the ‘Q’ section of the building, which is dedicated to all electronics components. 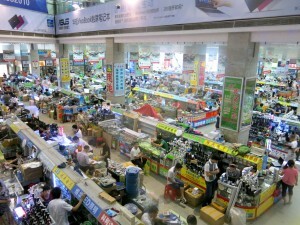 When I walked into this section, it feels absolutely like a heaven for electronics lovers. There are endless counters that sell all sorts of components that you can think of. When I say ‘endless’, there is no exaggeration: standing at any point of the floor, you simply cannot see the end. It’s very easy to get disoriented. 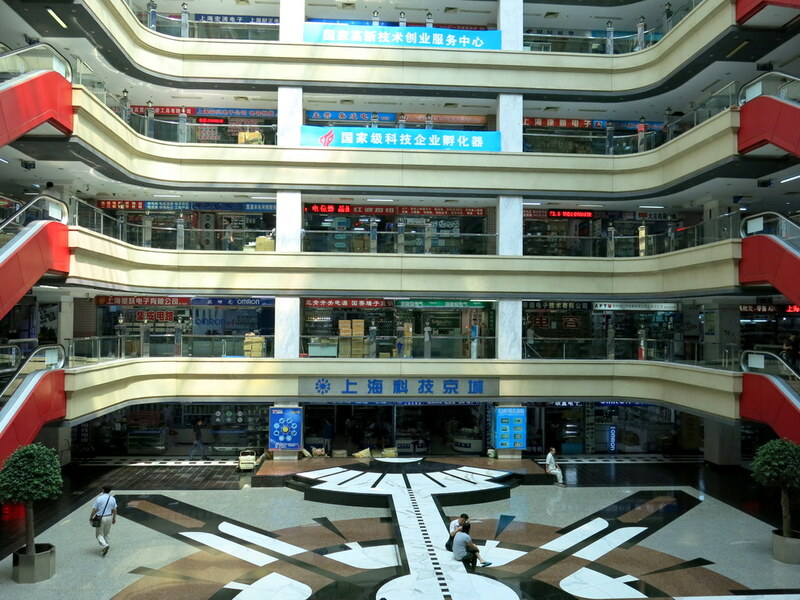 Also, there are multiple floors, each of which has a slightly different focus. 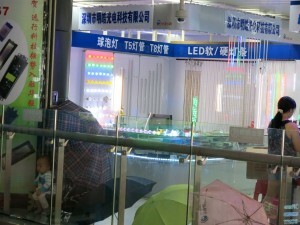 The picture above on the right shows a counter that sells switches. Thinking of those times you spent on trying to find a Digikey part that fits your need? 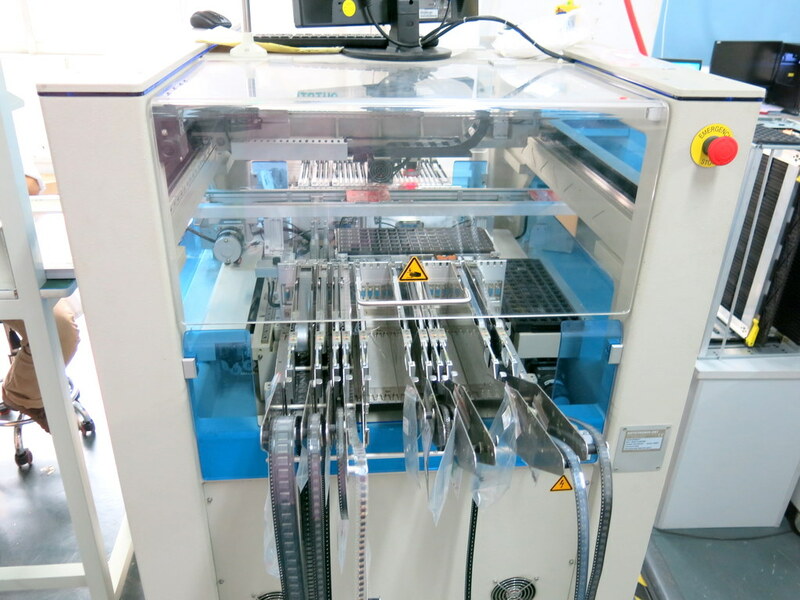 Here you can take out a real sample right at the counter and check it out in your hand. 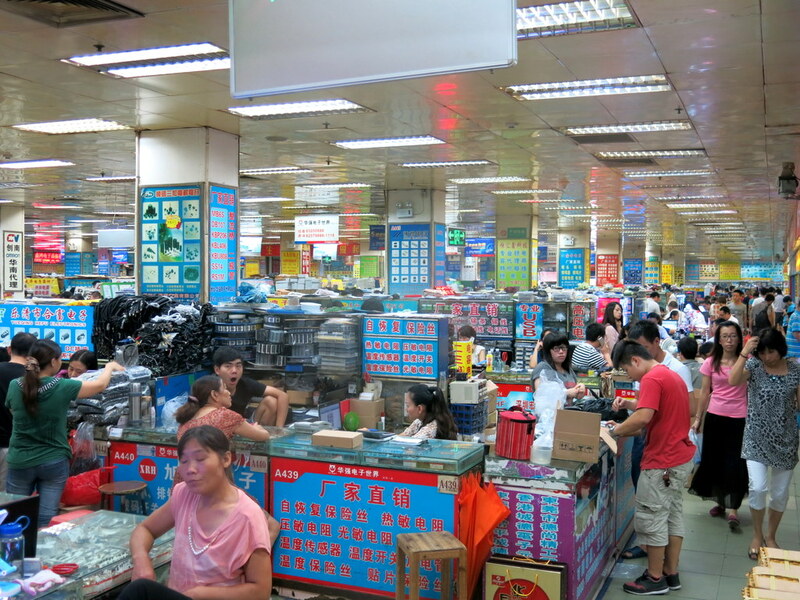 I am curious how to choose which seller to buy from — since there are so many of them, the choice almost feels random. One thing I learned is that you shouldn’t feel rushed to buy: go around and compare different sellers before you make up your mind. Even at this low profit margin, there are still noticeable differences in price. Of course quality is also very important — often you can get a good idea by talking to the seller, and see if they are knowledgeable and professional. I tend to patron sellers who are willing to engage in a conversation and interested in knowing what I do. 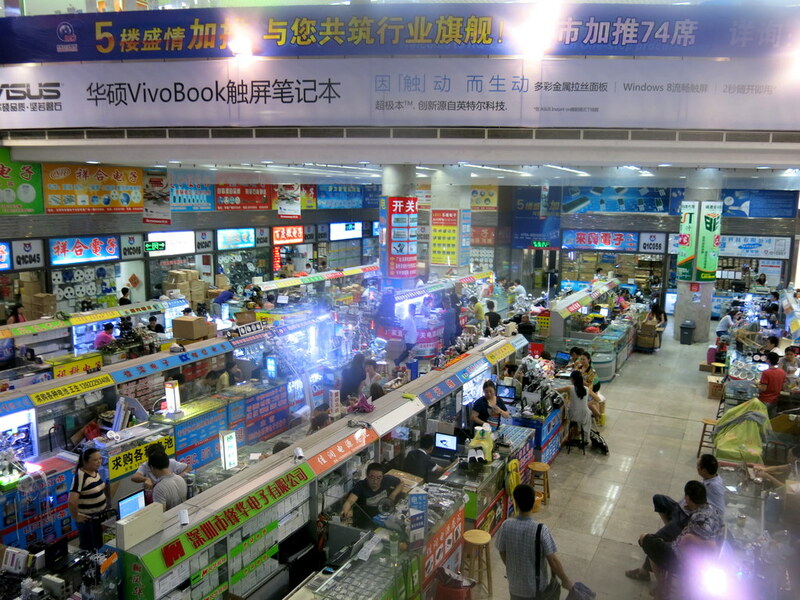 It’s very easy to get lost and spend hours and hours here in the market. Moving to a different section in the building, I came across a floor which sells all sorts of cables, connectors, power adapters, terminal blocks etc. If you intend to buy a large enough quantity, you can also ask the seller to customize the product. Most things can be tailored to order. 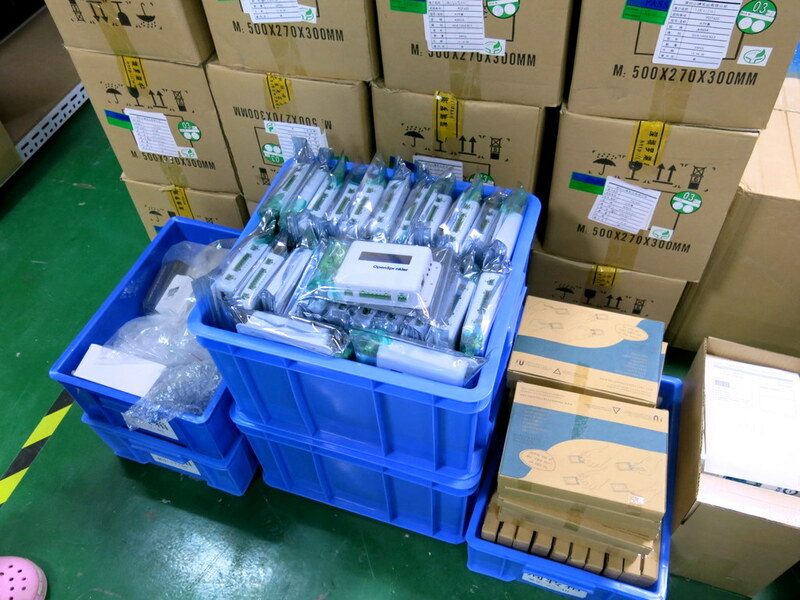 For example, I asked about 24VAC power transformers, and one seller told me depending on my need, they can customize the winding of the transformer and change the plug to any type of my choice. Wow, this is simply awesome 🙂 I was about to head to my next stop, which is the Sai Ge Electronics Market, and I ran out of time. So I will have to come back and visit again. After I was done with HQB, my friend brought me to the swimming pool at the ShenZhen Bay Sports Center. 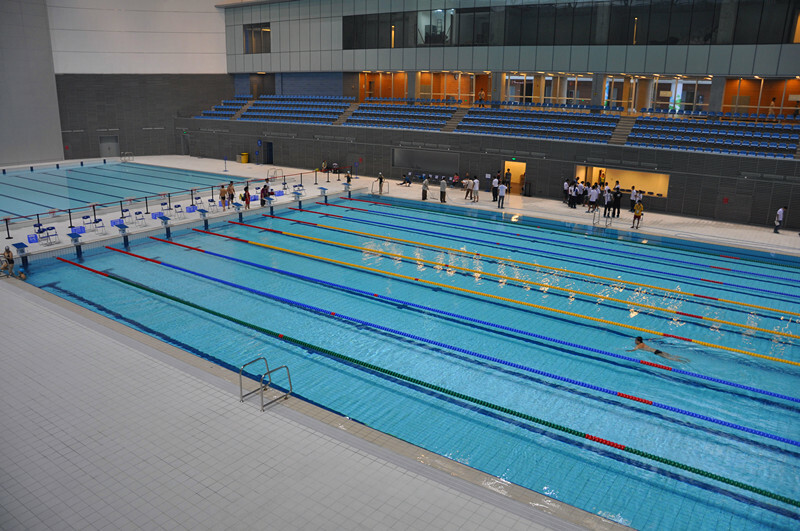 This is undoubtedly the largest pool I’ve ever swimmed in, and a good way to end today. So long for today’s report. Will keep blogging tomorrow! 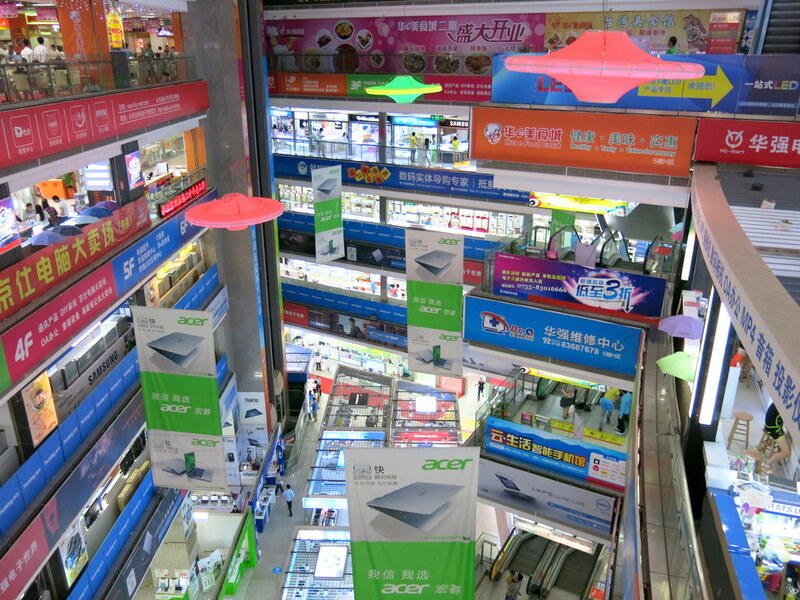 This week I am on a business trip to Shenzhen — the city with the largest electronics markets in the world. 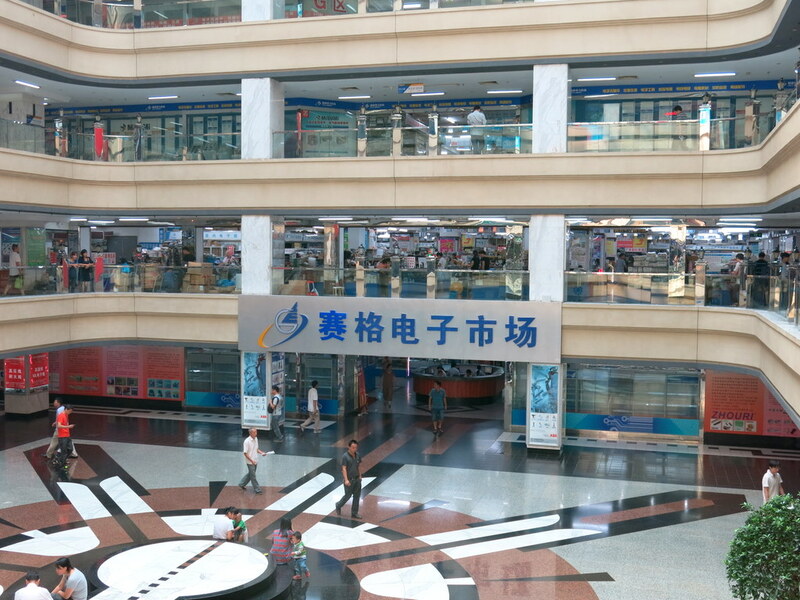 My plan is to visit several studios / factories and the of course the electronic markets here, and also some of my old friends. I will try to document my trip as much as I can. 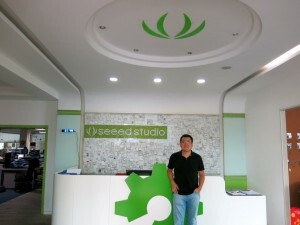 On the first day, I visited SeeedStudio, the company that is currently in charge of manufacturing the fully assembled OpenSprinkler 2.0. 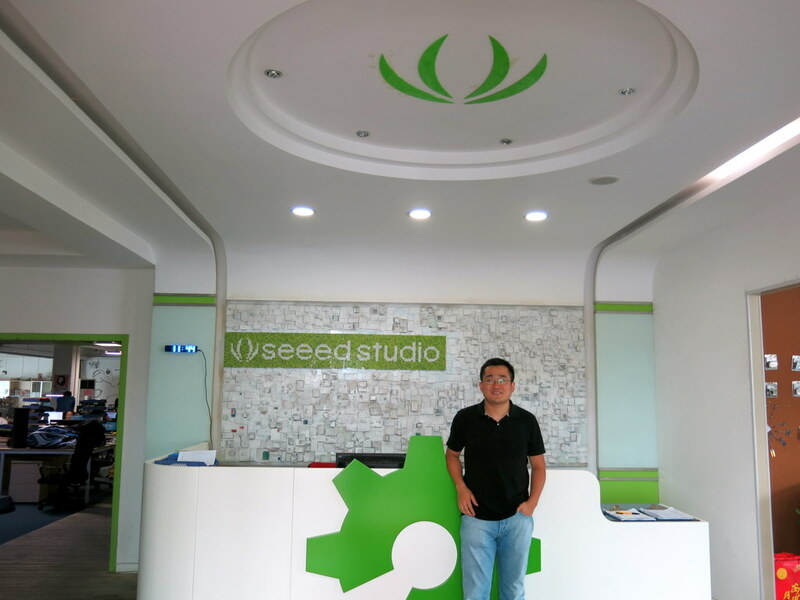 SeeedStudio is well known in the open-source hardware community, and they have been growing at amazing speed in the past couple of years. I have been looking forward to this visit for a while. The building where SeeedStudio is located at looks very, short of finding the right word, non-technical, which made me feel that I’ve walked into the wrong place. But as soon as I found their main lobby, I was reassured. 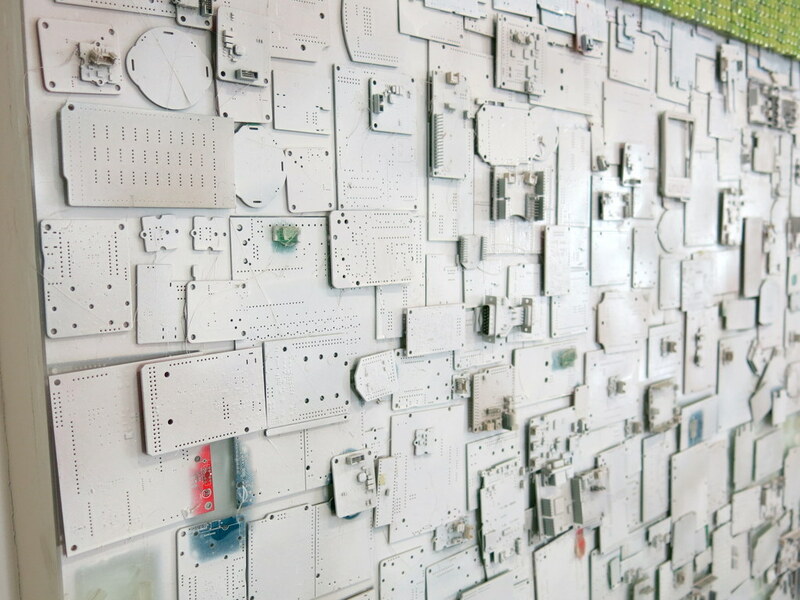 On close look, the back wall is made of hundreds of circuit boards painted in white. Very interesting. Here is a picture of the ‘innovation corner’ and also the marketing / PR section of the studio. 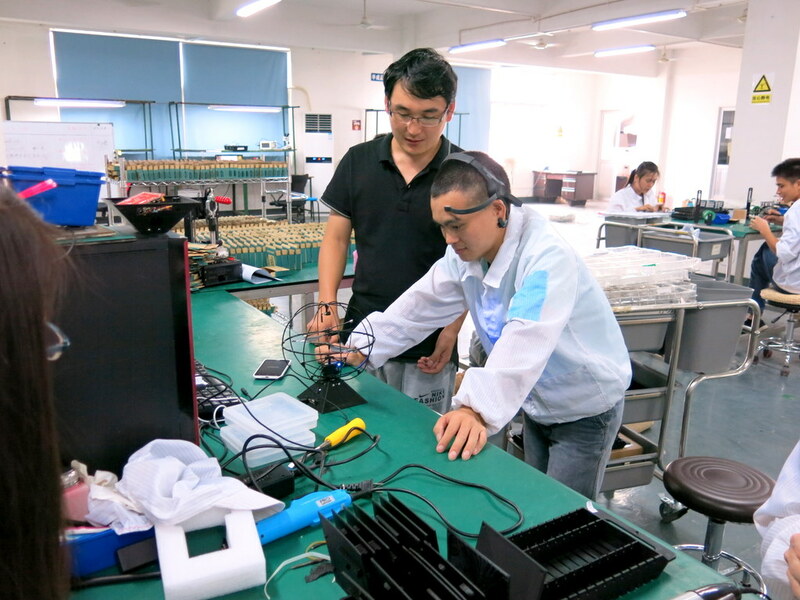 The main agenda today was to discuss the design of a paper box and a printed user manual for OpenSprinkler, making a mold for the OpenSprinkler Zone Expansion board, and designing a laser cut enclosure for OpenSprinkler Pi. The meeting was quite productive: I talked with the product manager, an enclosure engineer, and an electronics engineer for several hours. Things got started moving right away. Among the electronics discussions, we covered several potential improvements to the current OpenSprinkler circuit, including preventing users from damaging the circuit by inserting the power to the wrong terminal port, automatic detection of defective solenoids, adding built-in WiFi etc. I felt very excited to start prototyping these ideas right away. 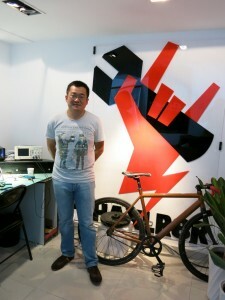 After the meeting, the product manager gave me a short tour of the studio. The top floor is where the offices and meeting rooms are located. 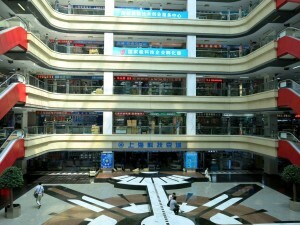 The bottom floor is where the production pipeline is. 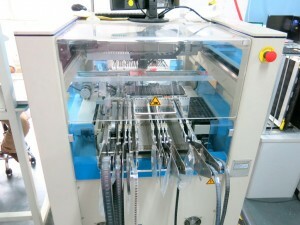 Here are pictures of the soldering / assembly area, and the SMT pick and place machine. Next, the laser cutter and a testing area where engineers were testing a brain wave (EGG) controlled drones. Hmm, very impressive! So that’s all for my report of Day 1. My next stop is Hua Qiang Bei (华强北), where you can find almost any electronic component you can think of right at the counters. Looking forward to it!